This report provides a summary list of outstanding products for IC in 13 areas that are deemed critical to dentistry by Clinicians Report (CR). 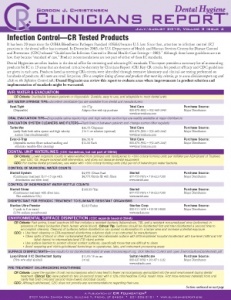 Key CR criteria for product efficacy and CDC guidelines are given in each area. 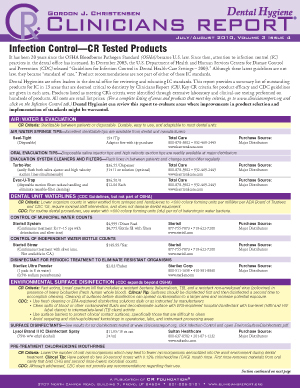 Products listed as meeting CR’s criteria were identified through extensive laboratory and clinical-use testing performed on hundreds of products.